The Illinois Supreme Court has appointed Devlin J. Schoop to the Cook County Circuit Court vacancy that will be created at the end of this month, when Judge Themis N. Karzenis retires. The appointment, which was announced by Justice Mary Jane Theis and the Supreme Court in a press release dated July 22, is effective August 10 and will expire on December 5, 2016. Schoop has been a partner with the law firm of Laner Muchin since 2008. He was a finalist for Associate Judge in 2014. Licensed in Illinois since 1997, Schoop began his legal career as a law clerk to U.S. District Court Judge Blanche M. Manning. Before joining Laner Muchin in 2003, Schoop worked for the firm of Wildman Harrold. The Supreme Court had previously appointed Schoop to serve on the Hearing Board of the Illinois Attorney Registration and Disciplinary Commission; he has served as a panel chair for the ARDC Hearing Board since 2011. He has also volunteered his time for the Cook County Bar Association Criminal Expungement Project and the Center for Elder and Disability Law. Schoop has sat on the boards of the Center for Conflict Resolution and the Cy Pres Award Committee for the Chicago Bar Foundation. 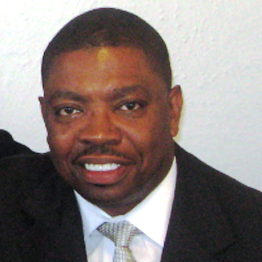 He served on the associate board of the Jane Addams Hull House association and recently completed a term on the Board of Managers of the Chicago Bar Association. Supporters of Judge Rossana Fernandez's bid to remain on the Cook County Circuit Court bench have launched a campaign website. That's a link to the site in the preceding sentence; a link has also been added to the blog Sidebar. The Illinois Supreme Court appointed Judge Fernandez to the countywide Elrod vacancy earlier this year. Fernandez's website notes that she is the daughter of immigrant parents for Uruguay and Guatemala. Before establishing her own firm, Fernandez became the "first Latina Partner" at the law firm of Sanchez & Daniels (in 2007) (Manuel "Manny" Sanchez is co-chairing her campaign). According to her campaign website, prior to her appointment, Fernandez served on the Board of Governors for the Illinois Association of Defense Trial Counsel and was an active member of the National Association of Railroad Trial Counsel and Defense Research Institute. Fernandez continues to serve on the Board of Governors for the Hispanic Lawyers Association of Illinois and is an active member of the Illinois Judges Association, Illinois State Bar Association, Chicago Bar Association, Justinian Society of Lawyers and Women’s Bar Association. 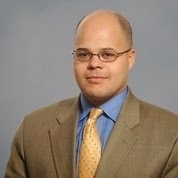 Judge Fernandez graduated from Chicago Kent IIT College of Law in 1996. She earned her bachelor's degree from the University of Illinois (in English literature and history). She is a graduate of Chicago's Lane Technical High School. Growing up in Chicago, according to her campaign website, Fernandez was a member of the Erie Neighborhood House Drill Team. She later volunteered there and served as a mentor where she later volunteered and served as a mentor. Fernandez continues to serve as a volunteer with Chicago Cares, "assisting with customized service projects that benefit the Chicago community, particularly the Chicago Public School System," according to her campaign website. A campaign website has been established for Judge Maryam Ahmad. That's a link to the site in the preceding sentence; a link has also been added to the blog Sidebar. Ahmad's campaign website touts her "15 years of legal experience and an additional 14 years of service in higher education," noting that she has served as both an Assistant Public Defender and as an Assistant State's Attorney and also "represented plaintiffs and defendants in corporate and civil litigation cases." The Illinois Supreme Court appointed Ahmad to the Brim vacancy in the 1st Subcircuit late last year. 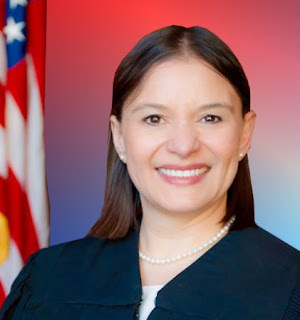 Supporters of Judge Rossana P. Fernandez are planning a kick off fundraiser for their candidate on Thursday, July 23, from 5:30 to 7:30 p.m., at La Taberna, 1301 S. Halsted. Co-hosting the event are Manuel "Manny" Sanchez and Jim Morici. Tickets for the fundraiser are priced at $100 each, and sponsorships are available (Chair - $1,000, Host - $500, or Patron - $250). For more information about the event, or to reserve tickets, contact Aaron Sofian at (773) 414-5156, or by email at Info@judgerossanfernandez.com. The Illinois Supreme Court appointed Judge Fernandez to the countywide Elrod vacancy earlier this year. 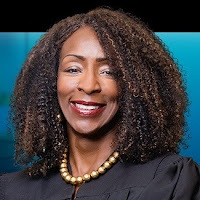 The Illinois Supreme Court has appointed Assistant U.S. Attorney Carrie E. Hamilton to the 12th Subcircuit vacancy created by the retirement of Judge Sandra Tristano. Hamilton's appointment is effective July 17 and terminates December 5, 2016. Licensed as an attorney in Illinois since 1996, Hamilton has been involved in a number of high profile public corruption cases while with the U.S. Attorney's Office, including the trials of former Illinois Gov. Rod Blagojevich and Tony Rezko. More recently, Hamilton was involved in the pending prosecution of former House Speaker Dennis Hastert. 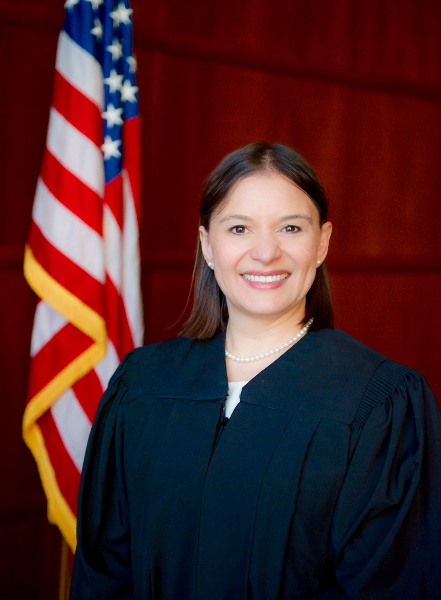 Illinois Supreme Court Justice Mary Jane Theis has announced that applications will be accepted to fill a 6th Subcircuit vacancy created by the retirement of Judge Leida J. Gonzalez Santiago. The application deadline is 4:00 p.m., Friday, July 31. In order to be eligible for consideration by Justice Theis's screening committee, an applicant "must be a lawyer in good standing licensed to practice law in Illinois and a resident of the Sixth Subcircuit." Interested lawyers will find instructions on how to request an application on the Supreme Court's website at www.illinoiscourts.gov. From there, follow the instructions on the "Latest News" scroller announcing the Sixth Judicial Subcircuit of Cook County vacancy. The Illinois Supreme Court appointed Hyde Park criminal defense attorney John Fitzgerald Lyke, Jr. to the countywide vacancy created by the imminent retirement of Criminal Division Presiding Judge Paul P. Biebel, Jr. The Illinois Supreme Court issued a press release about the appointment on July 7. Judge Biebel's retirement is effective Monday (per the July 1 edition of the Chicago Daily Law Bulletin). * Lyke's appointment is effective July 16, and terminates December 5, 2016. Licensed as an attorney in Illinois since 1994, Lyke served as a prosecutor before entering private practice, according to his firm website. * A subscription is ordinarily required to access Law Bulletin stories, but this article was posted on the paper's website as a "free read."